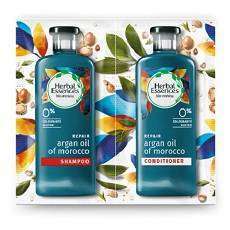 Register with P&G's SuperSavvyMe to get a free sample of Herbal Essences bio-renew Argan oil shampoo and conditioner. Add the offer to your basket and select ‘order now’ and you’ll be prompted to sign in or register, you can then enter your delivery details to receive the sample. There are 8,000 samples available, so go quick to avoid disappointment. Last edited by MSE Hannah; 29-01-2019 at 2:49 PM. Hadn't heard about this site - looks like i'll be checking it more often now! Also received mine this morning. Many thanks. Thank you for posting this! How big is the sample, please? Its 2 sachets, enough for 2 washes on my short hair.